The Alborn family lives and breathes Abel Tasman National Park. More than 20 years ago, Peter and Sandra Alborn purchased the lease for Marahau Beach Camp. They quickly fell in love with the area and sought to expand the business into other areas of the Nelson-Tasman tourism industry. Today, the family business is the largest commercial operator in the Abel Tasman visitor market. Aqua Taxi, Marahau Sea Kayaks, Hooked on Marahau cafe and restaurant, and AbelTasman.com are just a few of the businesses operating under the Alborn Enterprises banner. More recently, co-owner and commercial director Brendan Alborn set out to develop a digital strategy to future-proof the family business. He wanted to transform the company’s online and social media presence, customer experience, and operations. Brendan reached out to ShiftOn following a referral from another marketing company in the region that recognised ShiftOn’s expertise in the tourism industry. In the space of a year, ShiftOn worked with Alborn Enterprises to develop and implement a comprehensive digital strategy, including seven new websites, an online booking system, a new content brand, and a social media presence. As a result, Alborn Enterprises has seen its online revenue increase 400% and had tens of thousands more visitors to its flagship website, AbelTasman.com. Operating in a booming, but highly competitive tourism market, Brendan knew it was essential for the business to get ahead of the digital curve. This meant having a compelling online presence, efficient operating systems, and delivering exceptional customer experiences. Brendan said the business had put up with an outdated, unreliable operating and booking system for years and it was overdue for a refresh. “I was doing my research and to keep up, I knew that we had to be on social media and we had to have online booking - everyone else was doing that and we had to future-proof the business,” Brendan said. It was important for Brendan to work with a local agency that understood the region and could provide a more personal service. “We wanted something that was a lot more individual, perhaps quirky, but definitely something that stands out from a strategy point of view,” Brendan said. Brendan said that Johny and the team at ShiftOn were “honest” and “laser-focused” on understanding the ins and outs of the business. He said that Johny went beyond just building websites for a client and, instead, helped to transform the business as a partner. Alborn Enterprises’ digital transformation has yielded great results for the business. Online revenue has increased 400% The new online booking system has resulted in far more customers booking directly, rather than through an agent. Tens of thousands more website visitors. The launch of a new content brand for the business - AbelTasman.com - has resulted in a significant increase in web traffic and leads. 7 new business websites. Each of the business’ websites were redesigned and optimised for user experience and conversions. New live booking system. The outdated operations system was replaced with a more efficient online system, resulting in more online revenue. Social media presence. 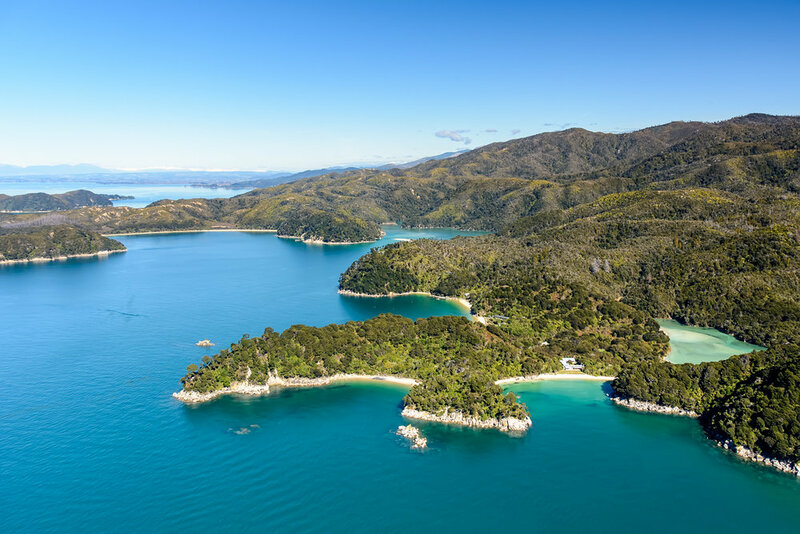 The business now has a presence on social media where they can show off the stunning views of Abel Tasman National Park, engage with customers, and generate leads. Brendan said that looking back on the first year of working with ShiftOn, the results are “at least 6 times better“ than he could have hoped for with a large agency.